Compatible with all CFC,HCFC,and HFC refrigerants ,safe with chlorine and salt water. This type of heat exchangers are suitable to R-22, R-407c and R-410A refrigerant. 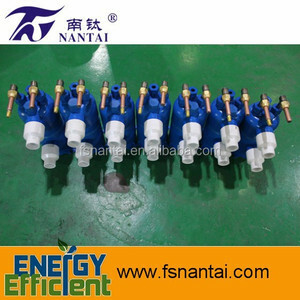 We Foshan Nantai is a leading supplier of Titanium Heat Exchanger. Water tank evaporator of Supply Water Chiller for metal electroplate acid bath Made with thick stainless steel having automatic water compensation function. Lage New industrial water cooled chiller Parameters Detailed Pictures About Supply Water Chiller for metal electroplate acid bath Detailed Pictures Packaging & Shipping Packaging&Shipping 2015 High quality industrial water chiller price air cooled water chiller plastic we will use the bubble glue at first, then the shockproof cotton, then the plastic film to protect the machine. 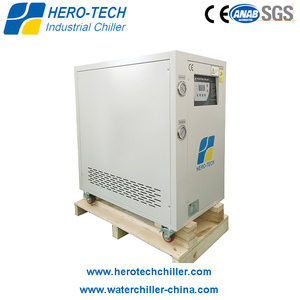 The wood packing is the woodiness plywood + the solid wood (the outside is plywood, the inside and bottom is the solid wood) After-service about Supply Water Chiller for metal electroplate acid bath 1. If customer has any question, we will help them to solve immediately. It seems you are in the luxurious decorations room or noble star hotel. 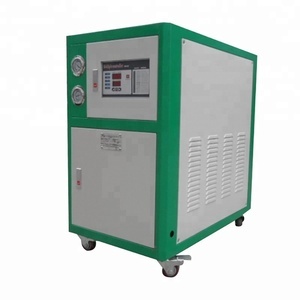 Enter air temperature 35&deg;C. Enter air temperature 7&deg;C.
There is a feature of open-type compressor that is easy to be maintained. There is no need considering the heat dissipation problem of equipment room. Gas refrigerant throng the tube enter into the compressor,and start to new cycle. The company mainly engaged in high-grade jewelry, electroplating products, such as: necklaces, crowns, hairpins, earrings, earrings, brooches, cufflinks, scarves deduction, rings, bracelets, bracelets, Zipper head, pendant and other products. The use of hanging plating operations, the standard clean production and provide electrostatic protection, color electrophoresis and other excellent additional technology to ensure that the product has a lasting decorative, anti-discoloration and wear resistance. We are very focused on allergic heavy metals (such as nickel, lead, cadmium) detection and control, and a number of international brands of jewelry companies and subordinate factories have perennial cooperation, the company has strict quality control and assurance system. S&A industrial water chillers are popular for its 2 temperature control modes as constant temperature and intelligent temperature control. 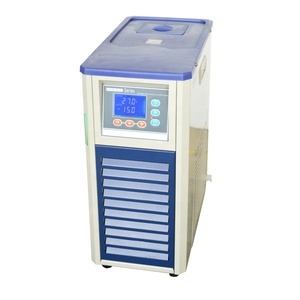 Under intelligent mode, the water temperature is adjusted according to ambient temperature. Press down key to show the room temperature, 6 seconds later default display restored. We firmly believe that quality comes first and customer satisfaction is always our first concern. To provide consumers best quality products and most convenient service is our pursue always. We are determined to be innovative and to constantly improve technical features. chiller Dimension: 29.5Lx23.5Wx36Hcm, Inner box: 25.5Lx19.5Wx26.5H, Chrome corners on the top edges , Chrome handle, Chrome locking bar, Built in opener, Steel and aluminum construction , Scratch-resistant, rust-resistant, lead-free powder coating finish , Refrigeration-type insulation safe and environmentally-friendly with handles,legs wheels and tray Purpose/Use: gifts, promotions for xmas,home/hotel/bar/restaurant use, premiums,etc. 1 YRS Shanghai Kuenbor Refrigeration Machinery Co., Ltd.
Max&deg;C 45 Min&deg;C -2 Ambient Running Temp. &deg;C -5 Inlet water Temp. Max&deg;C 45 Min&deg;C -2 Ambient Running Temp. 1) The air-source heat pump hot water unit needs no fuel transfer cost and keeping expenses. Can you do custom-made machines9 -- We can make products according to customer's requirements. -- Custom-made chiller use other voltage and refrigerant by according to client's requirement. Metal and Surface Finishing Industrial Water Chiller Andizing machine water chiller : Anodizing Electroplating Chiller Benefits Fully Packaged with Integrated Pump and Tank Lowest Operating Costs Generous Operating Limits Weatherproof Construction(Box type) Individually Tested for Assured Quality Extremely Precise Water Temperature Control Features Piston or scroll compressors Eco-friendly & energy efficient CE certificated Innovative Evaporator-in-tank configuration for increased efficiency Stainless Steel storage tank with insulation packing 1.High Efficient Air Cooled Industrial Chiller CNCEN brand CE certificate Water Cooled Chiller adopts international brand compressors made in USA,Germany, Italy and Japan, each chiller equipped with numerous safety devices for key parts, Quality, reliability and energy-saving are the three core philosophies embodied in all CNCEN products 1. Differing Refrigerants:R22, R407, R134a can be supplied on request 2. 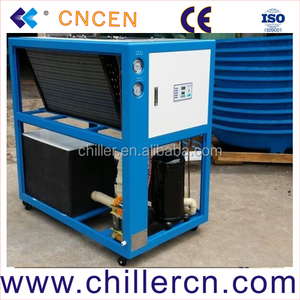 Special voltages: 115V 220V~240V 50 Hz or 60 Hz (Single and Three Phase) are available Export packing standard : PLYWOOD + POLYETHILENE WRAPPING Warranty : 12 month after ship out Nickel plating machine Water Cooled Chiller Data details: Water Cooled Chiller From CNCEN Refrigeration Equipment Manufacture Co. ,Ltd Item Model ZCL-03W ZCL-05W ZCL-08W ZCL-10W ZCL-12W ZCL-16W Cooling Capacity KW /50HZ 8.7 13 23.2 29 34.8 46 KW /60HZ 9.78 16.3 26.08 32.6 39 52 Kcal/Hr /50Hz 9300 15300 24800 31000 37200 49600 Kcal/Hr /60Hz 9900 16500 26500 33000 39600 52800 Input Power KW 2.8 4.2 6.7 8.3 10.2 13.3 Power Supply 3 &phi;380V/50HZ Refrigerant Type R22 Type of control capillary Expansion Valve Compressor Type hermetic scroll (piston) Condenser Type water Cooled shell and tube Cooling Water Flow(m 3 /h) 1.77 2.96 4.57 5.95 6.85 9.14 Inlet and Outlet Pipe Diameter (inch) 1-1/4" 1-1/2" 1-1/2" 1-1/2" 1-1/2" 1-1/2" Evaporator Type tank with coil or (shell and tube) Chilled fluid flow(m 3 /h) 1.48 2.47 3.8 4.95 5.71 7.61 Volume(L) 70 130 220 220 300 300 Inlet and Outlet Pipe Diameter (inch) 3/4" 1" 1-1/2" 1-1/2" 1-1/2" 1-1/2" Pump Power (kw) 0.37 0.55 1.1 1.1 1.1 1.5 Lift(m) 25 25 25 25 25 25 Safety Protection compressor over temperature, over current, high and low pressure, over temperature,flow Switch, phase sequence, phase-missing, exhaust overheating, antifreezing Weight KG 110 239 336 240 320 450 Dimension mm 950*680*1200 1200*700*1100 1300*700*1300 1150*700*1450 1320*800*1450 1320*800*1450 Company and Products information related : CNCEN Refrigeration Equipment Manufacture Co. ,Ltd Mainly design and manufacture Industrial Air Cooled Chillers and Water Cooled Chillers, Screw Chillers and Cooling systems for Plastic and Rubber industry,also widely used in Metal working, Mechanical and Engineering, Chemical and Pharmaceutical, Food and Beverage, Electronics industry, Textile, Electroplate, Semi-conductor testing, Water jet, Vacuum coating, We distribute Chillers from 1 ton to 3000 tons of air and water cooled with the maximum efficiency available in different models, with refrigerant R22, R410a and R134a Ecological. Easy installation Light structure, easy to move, simple electrical and connections for aquam in aqua chiller . 3. If I want to order one set, is ok9 A: yes, our MOQ for aquam in aqua chiller is 1set. For more information of aquam in aqua chiller, you could contact me without any hesitate. 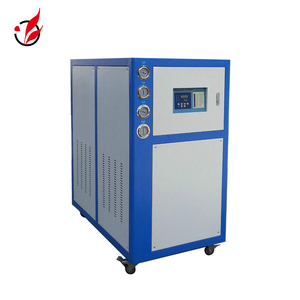 Cooling System Bath agitation mechanism The eddy currents induced in the furnace charge and the magnetic induction creates electromagnetic forces. This basically run in a radial direction to the furnace axis and press the melt inward away from the furnace wall. Additionaly a bath flow is created in the form of two eddy toroids with opposite direction of the turns. This metal cooler is large enough to hold 50 cans, and the stainless steel handles with rubber grips make it simple to carry. Stainless Steel hinges and screws protect against breaking, and a rustproof, leak-resistant channel drains without having to tilt the cooler. The base, lid and liner are also easy to clean. 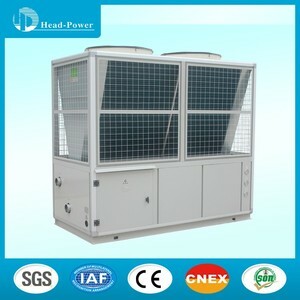 Alibaba.com offers 23,974 metal chiller products. About 1% of these are refrigeration equipment, 1% are industrial chiller. A wide variety of metal chiller options are available to you, such as ce, ul. You can also choose from free samples, paid samples. 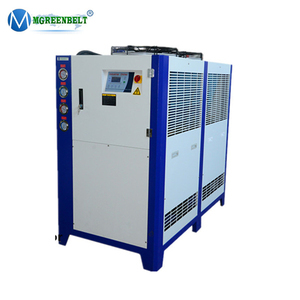 There are 23,974 metal chiller suppliers, mainly located in Asia. 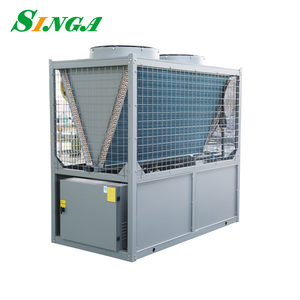 The top supplying country is China (Mainland), which supply 100% of metal chiller respectively. 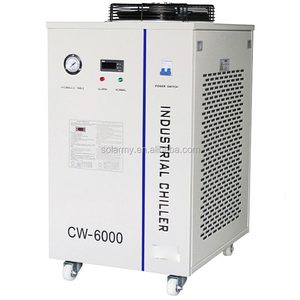 Metal chiller products are most popular in North America, Western Europe, and Domestic Market. You can ensure product safety by selecting from certified suppliers, including 6,254 with ISO9001, 2,184 with Other, and 1,593 with ISO14001 certification.